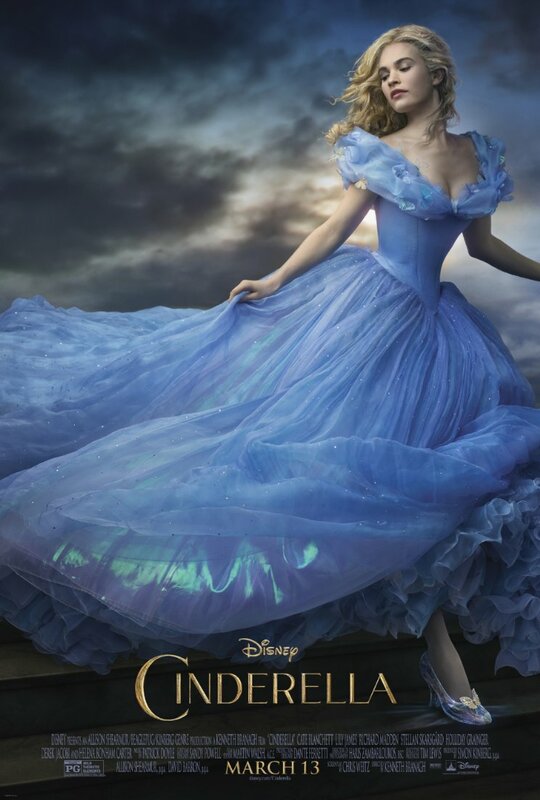 Cinderella, the Disney movie, is coming in March 2015. Watching the promos, I cannot wait. The movie trailer made me a little teary-eyed. Really. I surprised even myself. Just look at this glass slipper. And I don't even like heels! However, the Fairy Godmother tells Cinderella, "You'll find they're really comfortable." Frankly, I never argue with a Fairy Godmother. I felt like I was 15 years old again. Magical possibilities and right-overcoming-wrong made my heart soar. This Disney movie trailer has all the right effects of swelling music and sparkling magic combined with a timeless story. Oh, of course, beautiful Rose from our beloved Downton Abbey. British accent and all. What a perfect choice for this Cinderella movie. What a thrill it must have been for her to be chosen for the part. Can you imagine it? Getting the call that said, "Yes, you've been selected among thousands to play the part of Cinderella." Lady Rose, Lily James the actress, aka Cinderella, gracefully and delightfully evokes a sense of youthful awe and magic. I find myself believing, if only for a moment – "it could happen" – that wonderful suspension of disbelief. Cinderella's mother shares with her a secret - "have courage and be kind" - which is wonderful advice for all of us. I, for one, would like to see kindness "win" more often. I'm not particularly disposed to the idea of a Prince Charming coming to save me, in any literal sense, but I can certainly enjoy a story about it. These fairy tales are a part of my growing up. Fairy tales are universally appealing. They are old stories that have been handed down across the centuries and are told over and over again. Fairy tales have archetypal energies that speak to something universal within us. Good wins over evil; right succeeds after being wrongly treated. Having these energies enacted right in front of us appeals to our collective subconscious. Carl Jung, Swiss psychologist, argued that the root of an archetype is in the “collective unconscious” of mankind. The phrase “collective unconscious” refers to experiences shared by a race or culture. This includes love, religion, death, birth, life, struggle, survival etc. These experiences exist in the subconscious of every individual and are recreated in literary works or in other forms of art. Story telling is an important part of who we are. The stories comfort and entertain us and we bond together by sharing a common story line, nodding in agreement over the plot and outcome. Students of The Radiance Technique® (TRT®), can direct energy to parts of the story that personally resonate for them. Every topic is touched on in Cinderella - the death of a family member, ideas of right and wrong, the downtrodden, love and redemption. Watching the movie while applying TRT® hands-on, Radiant Touch®, is a great way to stay centered and aware. Maybe you have little ones who have to see the movie. TRT® hands-on during the movie is a great time to catch up on a little extra energy for you. Of course, it's also possible to enjoy the show and not worry about archetype or any other deeper meaning. I like to sit back and use my TRT® hands-on to enhance relaxation and enjoyment of the movie. As for me, I also have a small magical ability to tell the future. I predict we will be seeing a lot of little girls in Cinderella costumes next Halloween.